What's the difference between a Nursing Home and Residential Care? 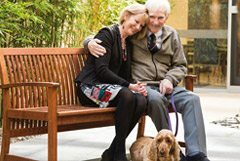 The term “Nursing Home” is – we believe – an ‘out-dated’ term to describe Residential Care. Use of the word “nursing” denotes illness and the majority of our residents are not ill, and come to live in Residential Care for a variety of reasons. 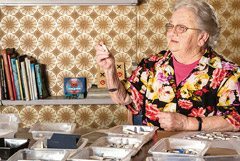 With our healthy ageing approach, many residents experience improved health once they move into an ACH Group home. At Kapara for example, an ACH Group site at Glenelg South, more than 100 residents are involved in a walking program that sees them walking mapped routes within the grounds and the local community. There has been much evidence of improved mental and physical wellbeing as a result. Are the Residential Care facilities accredited? All ACH Group sites have been accredited by the Aged Care Standards and Accreditation Agency. 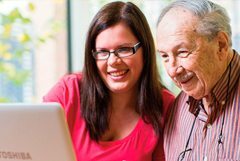 The Commonwealth Government, who funds aged care services, has developed the accreditation process which is managed by an independent agency, the Aged Care Standards and Accreditation Agency. 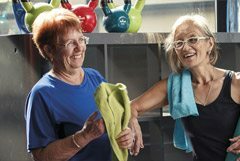 This Agency was established in 1966 and reviews all aged care facilities and measures quality in these facilities by application of 44 Outcome Standards which measure various areas of service and operation. How to do promote good lifestyles and quality of life amongst residents? 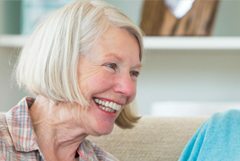 ACH Group residential care sites focus on ensuring that the lifestyle or previous life history of a resident continues once they enter our residential homes. Each site employs a Lifestyle Coordinator, who will assist new residents in establishing themselves into their new homes. 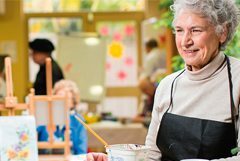 The Lifestyle Coordinator will link the resident with services, facilities and activities that occur both within the residential home and within the surrounding community. Residents of ACH Group residential services are encouraged to bring their pets with them when they enter a service. The only condition is that the resident must be able to care for their pet adequately and the pet can cope with the transition to the new environment. Many ACH Group residents have their dogs, cats or other pets with them and this has been of great benefit for them. Before any pets can be moved into an ACH Group residential home, the Manager of the facility must first assess individual needs and the site’s current circumstances. Can I bring my furnishings along to my new home? ACH Group firmly believes that you should be able to bring to your new accommodation, as much of your personal belongings as you are able to. This can include furniture, cabinets and display items. The rooms have been built as such that some can accommodate quite a degree of personal possessions, and this is encouraged to assist you in the transition from home to residential services. Our Residential Admissions Team is here to discuss your individual requirements. For more information, please contact 1300 22 44 77. Do you offer accomodation suitable for couples? Many ACH Group sites have been upgraded to meet the needs of couples. In some cases we can offer adjoining rooms, double rooms, or even a single unit for couples. 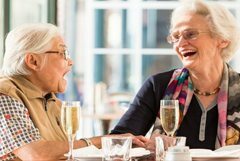 ACH Group strives to provide services for couples and all enquiries from couples, where either both or one of the partners requires aged care services, are welcomed.